Benefits Of Yoga, Who Should Practice Yoga And What Are The Benefits Of Yoga. Is yoga a form of excercise? Is yoga about a particular religion? Who can do yoga? What are the benefits of yoga? These are some questions that are commonly asked by people who have heard of yoga but have not completely understood it. If you dig deeper into this topic, you will wonder where exactly yoga started and how it reached the west. Some people also want to know whether yoga practised in the west is different from that of the Indian region. Let us get down to some interesting rambling about Yoga. To the question whether yoga is related to a religion, a simple answer can be given. For all practical purposes you need not believe or practice a particular religion to do yoga. The initiation of yoga many thousand years ago might have had it's origin in Hinduism. Monks and priests were the first to practice yoga. As the benefits of yoga came to be known, the people who practised yoga came from all walks of life. Another interesting discussion that can often be heard about yoga is whether it can be referred to as an excercise. Yoga is related to the mind and body. The various physical postures of yoga can increase body mobility and tone up the muscles. 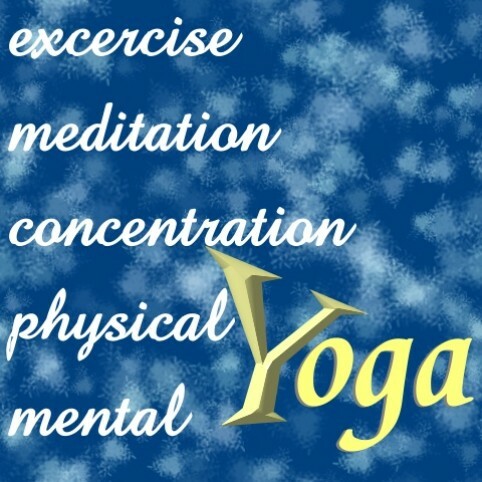 Much of the yoga that is practised in the western world consists of the physical aspects of yoga. It is therefore quite correct to define yoga as a form of excercise. If you wondered who can practise yoga, The answer is that, almost anyone can practise yoga and get benefits. Children, teenagers, youth, ladies and men and even pregnant ladies can practise yoga. Since we just clarified that yoga can be a form of excercise, you might want to talk to your family doctor before starting yoga practise for the first time. This is recommended for all forms of excercise especially if you have some specific medical conditions that need to be addressed. In the west, special yoga courses have been set up for pregnant ladies. Members work under medical supervision and generally take an entire yoga course. Physical postures, meditation and breathing excercises are included in such courses. You can do an entire yoga course that helps you through the stage of pregnancy and also provides advise for post-delivery care. Sportsmen might feel that they are in good physical shape and that yoga is irrelevant to them. Remember that yoga is about the mind and body. When preparing for an important or critical game, mere physical preparation is not enough. Sportsmen need to be mentally fit to handle the stress and strain in such situations. Practising yoga can help a person stay calm and composed even in tough situations. It has been found that students who practise meditation and deep breathing, do better in their studies and examinations. Yoga is helpful in such cases too, the mind stays alert without getting easily distracted. The above paragraphs basically refer to the benefits that yoga can bring to a person. Added to this many people believe that yoga postures when performed, gently massage various internal organs. This helps tone up the organ and improves it's efficiency. It is quite often thought that yoga practised in the wester countries is not the same as traditional yoga. The important thing is that, there is only one yoga. Western nations have picked the portions of yoga which they feel will benefit them the most. The physical postures from yoga are given more importance. Having said that, it is clear that many people from developed nations have also experienced the benefits of meditation. If you are a newcomer to yoga practice, it is a good idea to find an experienced teacher to guide you. A friend who has been practising yoga for a while can also be your teacher and guide. If you are above the age of 30 or have some known medical condition, discuss your plan to practice yoga with your family doctor. In any case, start of with simple and easy steps. Do not overdo it as it can cause you to soon get bored, injury is also possible when difficult postures are attempted by an inexperienced person. Thousands of years ago, monks who practised yoga maintained certain dietary habits too. While this is not necessary for yoga practise, it is something that you should try too. Good eating habits and even getting sufficient sleep and relaxation if combined with your yoga project, can prove to be very beneficial. There is a very interesting thing about yoga. It is often used to treat ailments like backache and neckache. A person who is well versed with various physical aspects of yoga can select specific postures to handle such ailments. Rythm breathing and meditation can also help people with breathing problems. Like any other form of excercise, yoga also helps blood circulation and increases the efficiency of the heart. There was a time when yoga was thought to be non-fashionable. People flocked to try out other forms of excercise, things have changed now and interest in yoga practice has grown high. It is interesting that while yoga originated in India, it is today highly respected in many developed countries. Many yoga teachers in the west have an indian origin. It is not always necessary to join a school to learn yoga. You can try it through video taped course material. Remember to start with simple steps and postures, do it in short intervals of 10 to 15 minutes. Stop if you feel uncomfortable or experience breathing problems when doing yoga. A visit to the doctor could help you handle such a situation. The benefits of yoga are undisputed, the mind and body become well conditioned to handle the stress and strain of today's lifestyle. You do not need any special space or equipment to practise yoga, just an open place and sufficient determination.